create a paper pattern using the formula below. pin the paper pattern to the fabric, be sure to fold the fabric with the fold unless otherwise noted. you will add a 1/4 inch seam allowance before cutting out the fabric. To figure the length of the torso with legs, you take 3 times the height of the head plus 2 inches for the feet. So the total length of the doll will be 4 times the height of the head. The width of the legs is the height of the head. 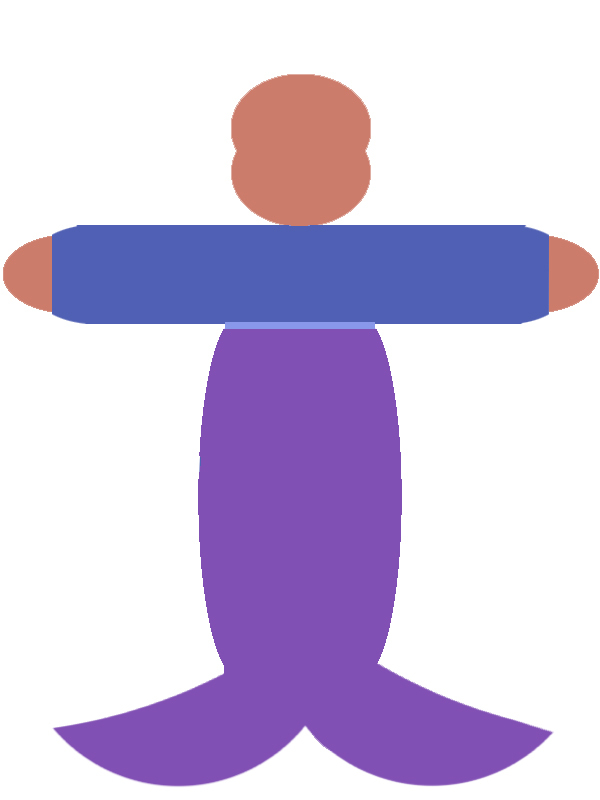 The arm length is 3 times the height of the head plus 2 inches. 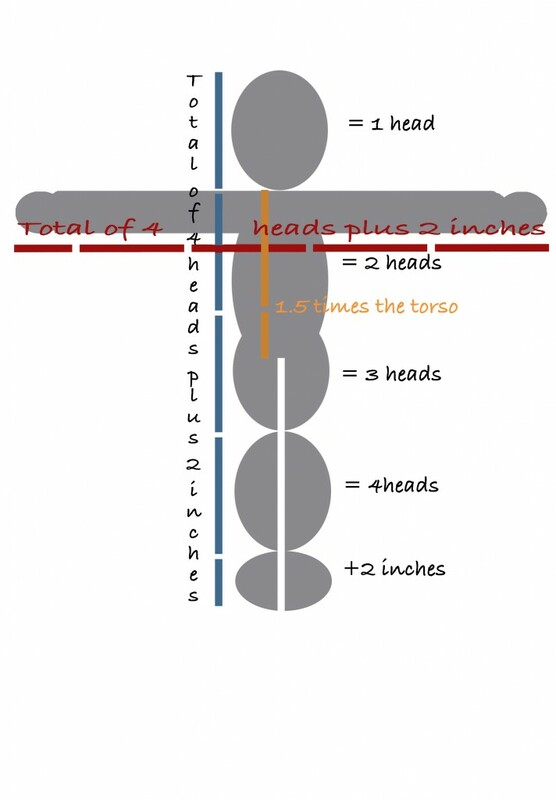 The width is the width of the head. 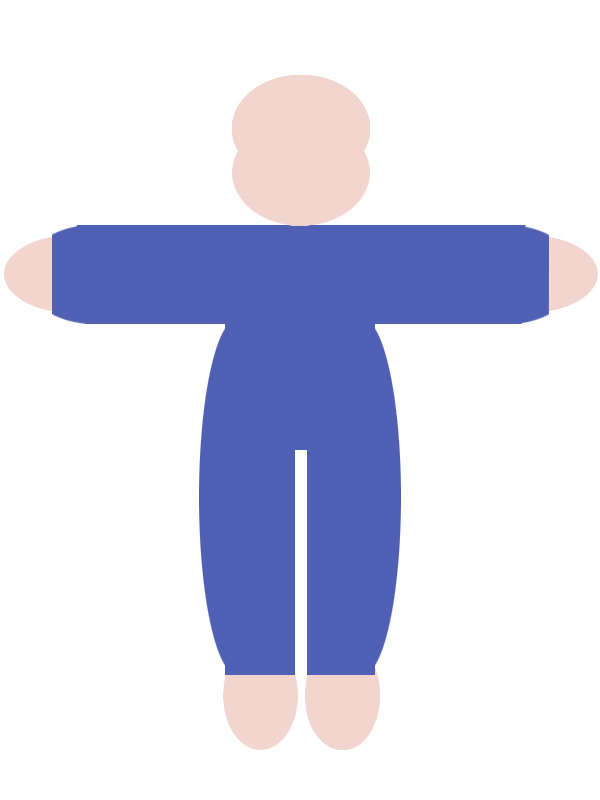 Having these measurements will help you create the doll, but you should keep in mind that they can be adjusted. If you would like to make a younger looking doll you want the head a little larger, or the limbs a little shorter. Let's say you want to create a doll that looks like a two-year-old, the head will be larger in proportion to torso and limbs compared to a six-year-old. Legs and arms may be also a little chubbier, so just add a little to the width to create this look. Another option is to be creative with your pattern, instead of legs you could add a mermaid tail or a rectangle, or pouch (more like a pillow). You can also sew ribbons with different texture into the seam for visual and sensory stimulation. I remember a customer of mine whose child was visually impaired and asked for brighter colors and different textures. Those special needs can easily be met with custom or handmade products. 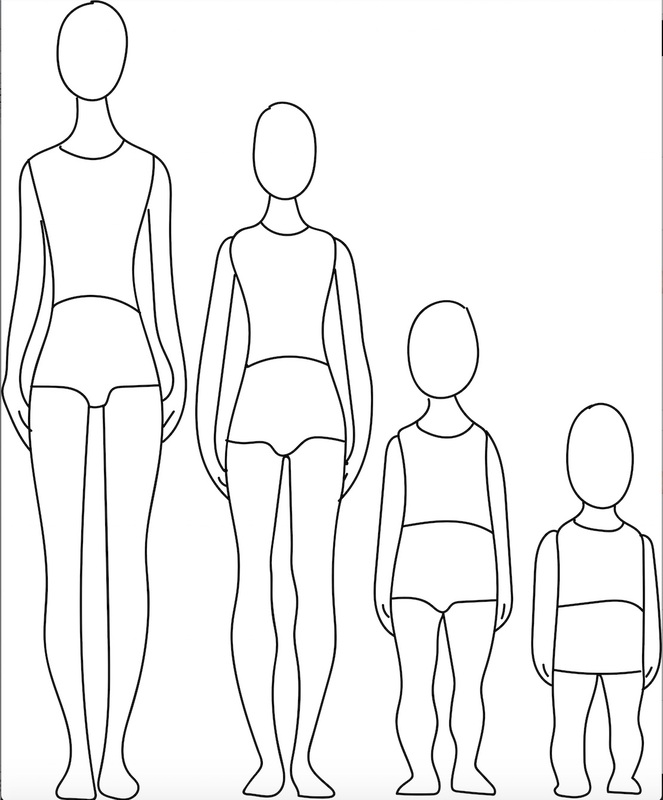 Proportions from young child to adult. 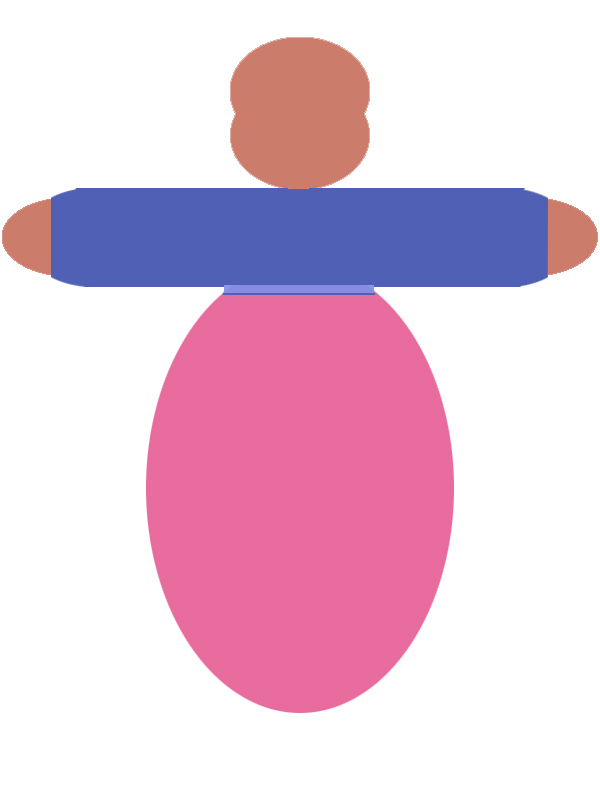 If you visualize where the belly button would be on each form, you can see how the proportions change.